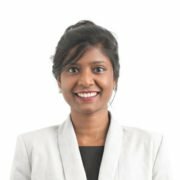 Reena is a widely recognised and well respected member of the Queensland community. Reena achieves seemingly impossible results in many high profile and high migration matters. Reena started her career in consultancy from the age of 16, when she was first asked to teach English in a renowned migration firm in India. The journey of helping students and migrants from all diverse back ground started then and continues still after moving to Australia in 2009. Now as a registered Migration Agent in Australia she has been assisting and supporting migrants in their decision to migrate for good or for studies in Australia.